Roland DiGasbarro was actively looking to invest in Allapattah two years before purchasing his first building there in early 2014 because it’s an important and appealing urban location like Wynwood, he said, but at a fraction of the price. The owner of Windsor Investments, a family-owned South Florida real estate investment company, Mr. DiGasbarro said he has been very involved over the past decade in the region’s urban locations, including downtown Miami, Coral Gables and Wynwood. At the beginning of the year, however, Mr. DiGasbarro sold his last property in Wynwood, where he owned a number of buildings. Two years after venturing into Allapattah and buying that first building for $70 a square foot, he now owns almost a dozen properties in the area, which is northwest of downtown and a few miles east of Miami International Airport. Mr. DiGasbarro said he purchased for investment reasons and believes the neighborhood has distinctive qualities. Geographically, Allapattah makes sense and costs are substantially lower than everything surrounding it, he said. Moreover, Mr. DiGasbarro firmly believes in the area’s appeal. William Betts, an artist who owned buildings in Wynwood, began buying property in Allapattah in 2011 to add to his portfolio. Eventually, he sold his Wynwood buildings. “The market had peaked and it was hard for it to go up,” Mr. Betts said. He said the buildings he saw in Allapattah were high quality – spacious, in good shape and inexpensive. He owns an entire block near Seventh Avenue, keeping a portion for garden space and renting the rest to automotive tenants; a few warehouses on 10th Avenue that he uses for his own storage and others that he rents to artists; and a number of buildings as investments. Wynwood is where people come to party, he said, but Allapattah is where Miami works. Francisco De La Torre IV, director and curator of Butter Gallery, has also relocated from Wynwood to Allapattah, where he said many important real estate developers have already acquired properties and it is just a matter of time before the area is completely transformed. Mr. De La Torre said his interest in Allapattah started with the “over-commercialization” of Wynwood and it seemed to him the logical direction to move slightly west and stay close to the previous location in which his gallery operated for years prior. Mr. De La Torre bought a building four years ago – his only property in Allapattah – where he runs Butter Gallery and shares the rest of the space with a group of friends including Wynwood Radio, Product 81, Panther Coffee and the Sushi Samba Group. It was 2008 when commercial broker Carlos Fausto Miranda closed his first deal in Allapattah. At that time, he said, most buyers were very utilitarian, strictly owner-users. Historically, the area housed produce and food suppliers, concentrated in the produce district by 12th Avenue and 22nd Street as well as a broad range of industrial, distribution and light manufacturing businesses. Allapattah, which was nicknamed Little Santo Domingo by Miami City Commissioner Wifredo “Willy” Gort in tribute to its large population of Dominican heritage, remarkably up until only a few years ago was entirely undiscovered by the wider market, Mr. Miranda said. Mr. Miranda, broker and president of Fausto Commercial Realty Consultants, who has completed the majority of commercial brokering in Allapattah, said these investors’ work isn’t necessarily quick, as sometimes it takes over a decade to realize, but it is inevitable. “There’s a working class vibe to Allapattah and I’ve always been attracted to that,” Mr. Betts said. “There’s also a large residential component, which makes it a real community.” Ironically, not for long. I was going to say the same thing. Allapattah will become another Wynwood before too long. Go north to little haiti and destroy that instead. Anyone know what is planned for the huge land where waste management was? that is NW 10th to 11th avenuse and NW 21st to 22nd Streets? It sold recently, but nothing seems to be happening there. It’s only a matter of time before Allapattah is transformed and priced out, much like Wynwood, Little Haiti/Lemon City, Little Havana, Omni, Park West and Overtown. What can be controlled by the local municipality– through legislation– is the aesthetic environment and cultural resource offerings unique to each neighbourhood based on architectural design guidelines and zoning, such that when these short-term investors depart from these neighbourhoods, what is left behind is sustainable and efficient for use by owner-users and long term stakeholders, and remain inviting to local residents and the traveling public. The problem is, the local municipality is not in the business of controlling anything. We have already seen Miami 21 basically be crumpled up and thrown in the trash any time a large scale developer wants to do something that is not within the zoning guidelines. When the municipality is so blatantly hungry for money, it is inevitable that they will bend over and do whatever is requested of them. They are currently in the process of even trying to sell their own municipal building on the river! This is a developer run town, and everyone is on the take. Highest bidder reigns supreme. DC Copeland has no understanding of a free market. Does anyone know what if anything is going on with the wholesale produce market on NW 12 Ave. between 21st and 22nd Ave.. I heard it was sold so they could build a low income housing project. 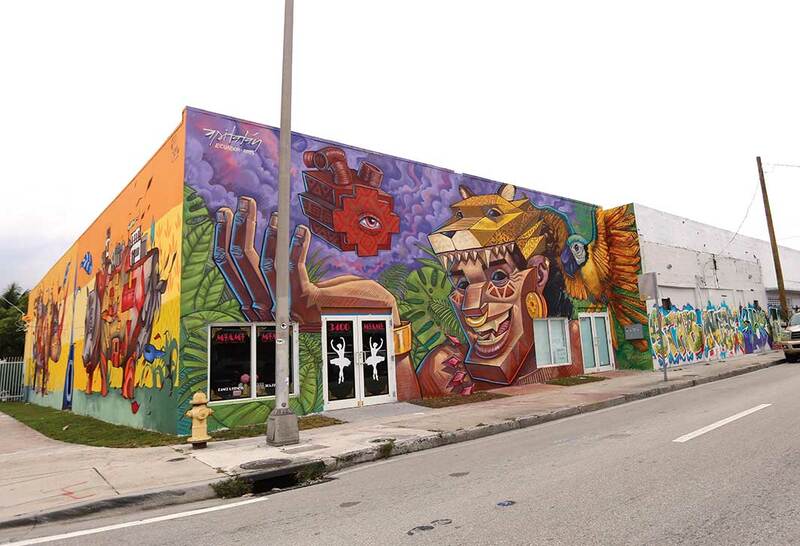 It’s a smart move by Windsor Investments to move from Wynwood and into Allapattah. There is a natural progression in store for the community to grow and improve, maybe not as exponentially as Wynwood, but still very good nonetheless. I have a couple of retail partners with http://www.skyfiveproperties.com/ and we’ve been exploring our options within the area. Roland definitely got a great deal on the properties that he was able to acquire at $80 a foot. Those days are long gone now. I really hope that more artists are attracted to the area because they uniquely add beauty, depth and a coolness factor. Hopefully, we iron out our problems with Zika and what it has done to Wynwood. That latest crisis hasn’t been an easy one to deal with.